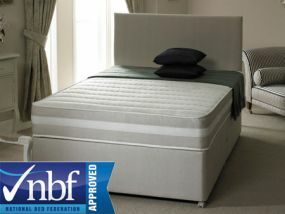 Here you will find our extensive range of double memory foam divans. 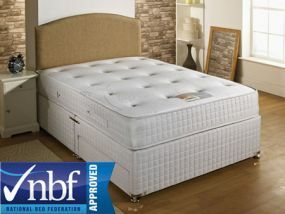 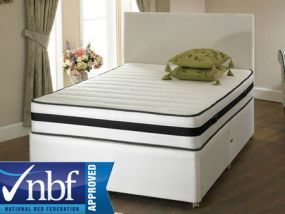 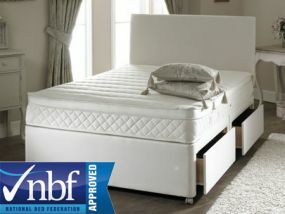 Our range offers a complete range of firmnesses from soft through to firm and various types of memory foam mattresses including foam mattresses with a memory foam layer, sprung mattresses with a memory foam layer and for those wanting complete comfort and luxury we also offer pocket sprung mattresses with a memory foam layer. 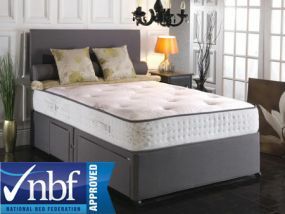 Memory foam is ideal for anyone wanting a really comfortable night’s sleep as memory foam uses your own body heat to mould to your body shape whilst you are sleeping and offers support around your body where it needs it most. 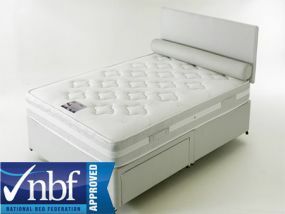 All of our double memory foam divans include free delivery and with our fantastic prices you can be assured of great value. 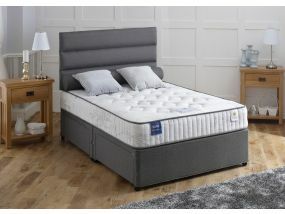 Pre-bookable delivery is available on the majority of the range so you can arrange a delivery date for your new double memory foam divan that suits you. 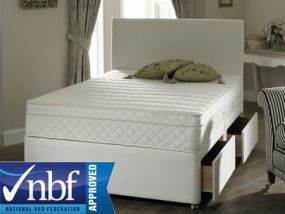 Testing out a divan before purchasing is recommended however when choosing a divan online trying a mattress out is almost impossible and with the large range available choosing can be difficult, so if you need any advice or assistance in searching for your perfect divan why not give our friendly team a call who are more than happy to offer their expert advice.